SPOILER WARNING! : Full disclosure I knew nothing about the game besides hearing about the perfect scores it has received to date. While Spoilers have been avoided in the following review, I honestly recommend you play it without reading the review. It is best to play it without knowing anything. This game deserves the perfect score. Today I think is the first time a game has left me without anything to say. Not because it's a game I don’t like. Or a game that I love, but because it is game that to simply talk about with someone that hasn’t played it, would be doing that person and the game an injustice. Obviously the game I’m referring to is Playdead’s Inside. It has been getting rave reviews all over the internet, with perfect scores being thrown around from dozens of video game websites and outlets. So I decided that I too must check out this great game and see if it indeed lives up to the hype. 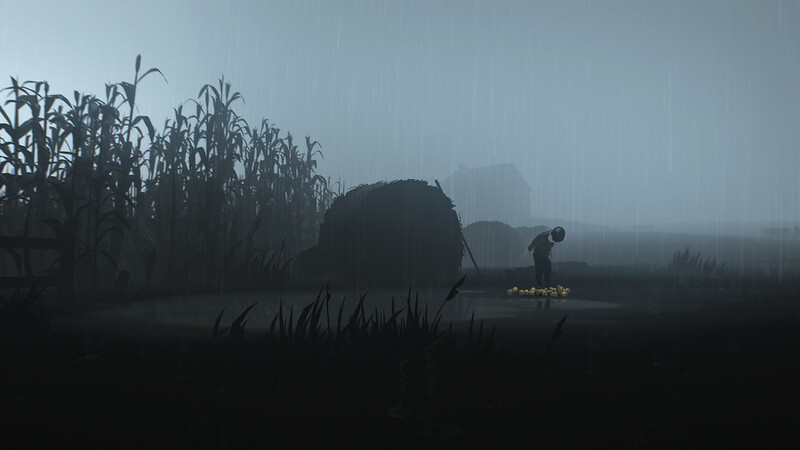 Inside is made by Playdead, the same people that brought us Limbo back in 2010. If you played Limbo at all, you know pretty much what to expect of this game. And people rightly raved about Limbo back then, the same as they do Inside now. Inside follows the same formula and then expands upon it to build something fantastic for the current generation. Graphically the game is beautiful. Using a noir art style with simple hues to create a dark and scary world. The gameplay takes full advantage of this using lights to create both atmosphere and highlight traps or the path forward. If ever you feel lost playing the game, it's only for the briefest of moments as you quickly find the way forward or the solution to puzzle. This is Playdead’s greatest strength in their design. Using simplicity to make something appear overly complex. Every time you find a solution you’ll find yourself saying “Of course!”. The sound design is impeccable. If you have good set of headphones, I advise wearing them and tuning out the real world. This game prides itself on the atmosphere it creates with its sound design. Several times I found myself on the edge of my seat as I made my way through an area only to be jumping and screaming as I ran for my life not long after. The design is literally that good. As to be expected the puzzles in the game are both devious and simple in design. The less said the better. However clocking the game at around three hours, I will say they won't leave you scratching your head and looking up hints on GameFAQS.com. And I’m not the sharpest tool in the shed, so if I can beat it so can you. Unfortunately I can’t say anything about the story. To do so, would ruin the experience. You start as a boy in a red shirt that appears to be on the run in the woods. From who and what you don’t know, but then you stumble onto something much more sinister. I was constantly questioning what the hell was going on as I made my forward through the various environments. To sum up, if you haven’t guessed by now, I love this game. I honestly do. Start to finish this game oozes polish and brilliant design. A worthy follow up successor to Limbo and a must buy in my opinion. INSIDE WAS REVIEWED USING A "RETAIL" XBOX ONE DOWNLOAD KEY. OVER THE TOP GUSHING IS PURELY SELF INFLICTED.